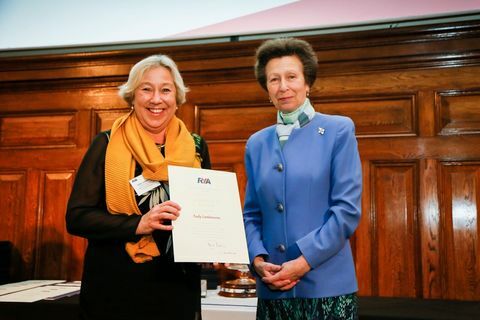 Judy Lambourne, our recently retired Commodore, has been recognised by the Royal Yachting Association (RYA) for her services to boating, by the presentation of a Community Award at the RYA Volunteer Awards in London last Friday (16 November), by HRH The Princess Royal. The RYA Community Awards are presented to outstanding individuals for their commitment and services to boating at club or grassroots level. HOEOCA would like to congratulate Judy on her award.